I guess you could say I have a lot of favorite places in east Tennessee. 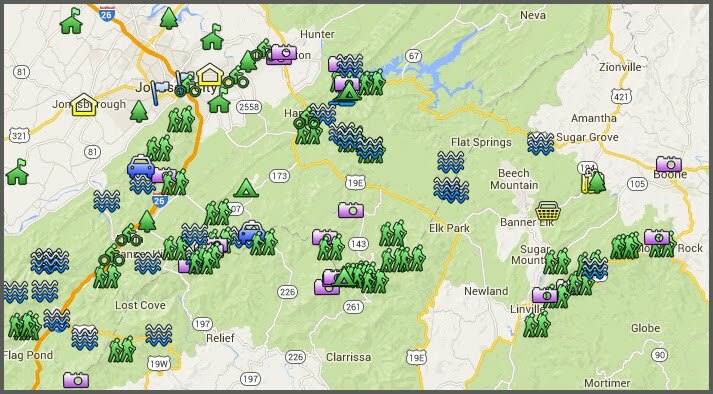 Doe River Gorge is certainly one of them. (I just can't be limited to one favorite!) 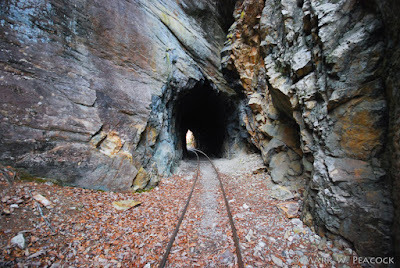 Beginning in the 1880s this was an important link to transport iron ore over the mountains from Cranberry, NC to Johnson City, TN. 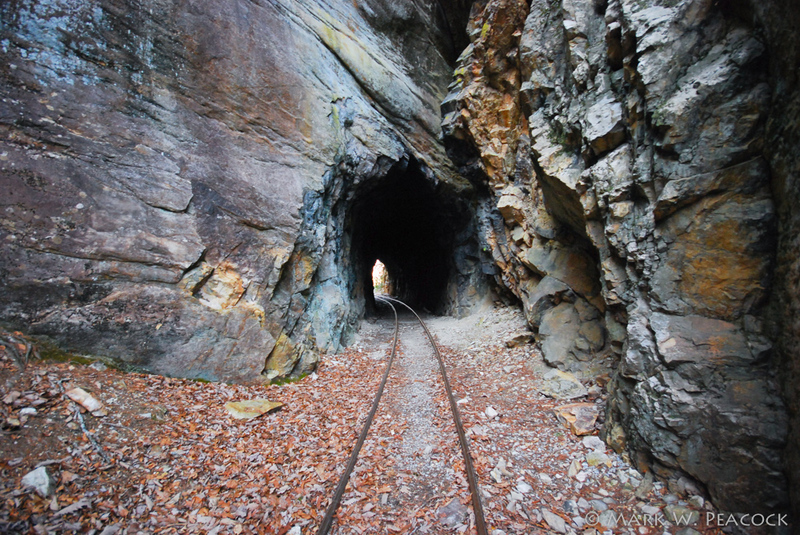 The narrow gauge rail line, known as the "Tweetsie", ran until 1950. Click here and here for more history. Today, the area (just outside of Hampton, TN) is a Christian campground. The current stewards have done an amazing job preserving and improving the immediate area for campers and visitors. Visitors are welcome to walk the old rail line and venture down to the Doe River during the off-season (when the camp is not being used) -- all they ask is that you stop by the main office, sign a release, and respect the property. They also have an open house in mid-October for the public. Click here for directions. I never would have expected Tennessee to have such spectacular mountain scenery. Here in the Pacific Northwest, we've similar beauty, though very different in it's manifestation. Just shows that the beauty, in all its varied forms, is wherever we look for it. I relate and admire your appreciation for the majesty of nature, and give kudos for a blog extolling her virtues. WOW...I go to this place alteast 5 times a year..this is one of the best kept secrets within a 2.5 hour trip of N Carolina. I have caught a 40 inch brown and a 42 inch rainbow from this gorge!!! if you are wading the river be prepared for a really hard fish..the terrain is rough but rewarding..fly fishing or ultra lite..i prefer Shimano Siprex ultra lite with 4 lb test (both fish mentioned above were caught on this gear. Live bait (lizrds or small brim are best for the big browns and Joes Flies are best for the rainbow..Black nat with gold hakcle.